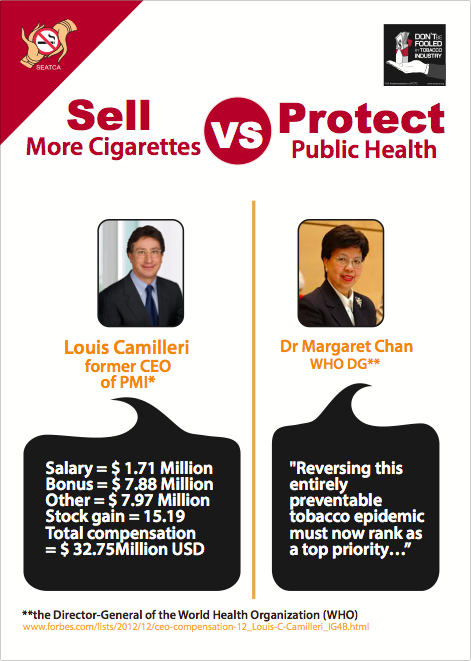 Tobacco is unique – it is harmful and hazardous. 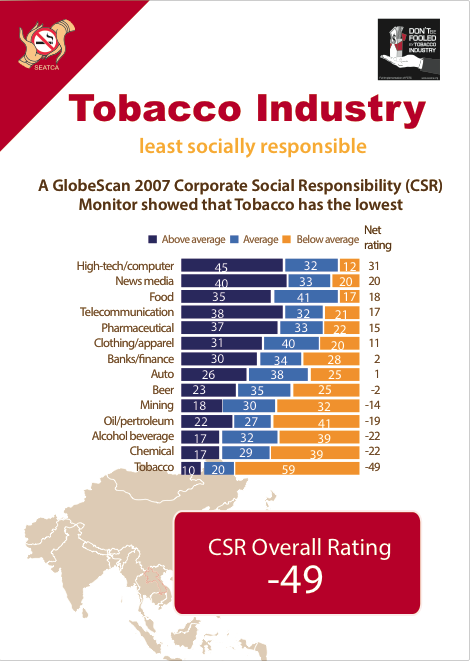 It is the only consumer product that kills half of its regular users prematurely when used as intended by the manufacturers. 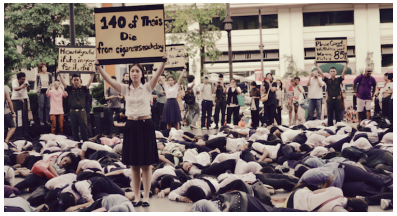 Globally about 6 million people die every year from tobacco related diseases and 1 billion people will die in the 21st Century. 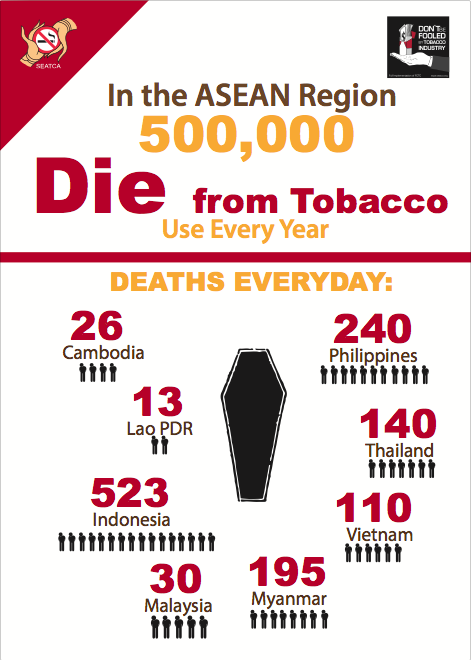 In the ASEAN region, about 400,000 people die annually from this epidemic, a figure matched by no other catastrophe. 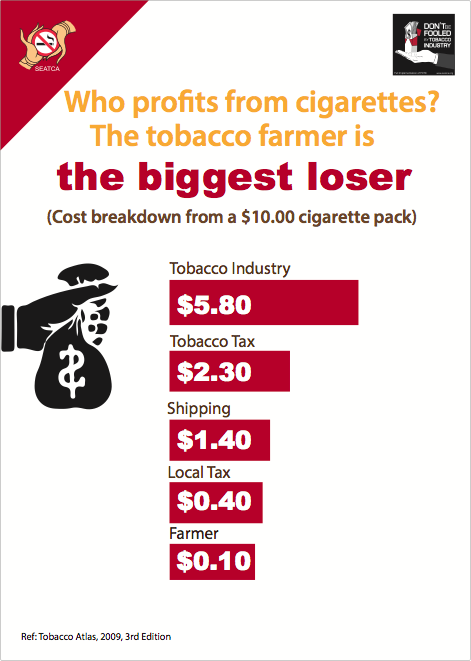 A tobacco company executive once said, “If you can market a product that kills people, you can sell anything.”(i) The tobacco industry is the problem and cannot be part of the solution. Hence it needs to be de-normalised and its tactics exposed. 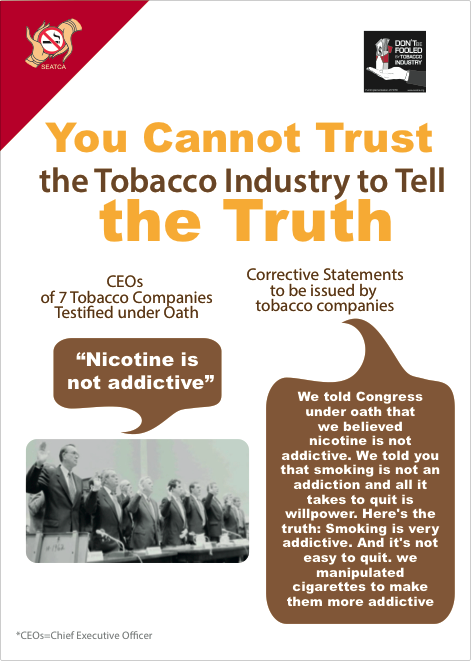 To date the tobacco industry has not admitted wrongdoing and continues to deny in the courts that its products cause disease and death. The industry has targeted Southeast Asian countries as an important region to grow its profits. Within the region Indonesia, Philippines and Vietnam are vital markets for the industry, and it fights regulations aggressively. Countries in the region that have enacted strong regulations such as Brunei, Malaysia, Singapore and Thailand continue to experience challenges from the industry. 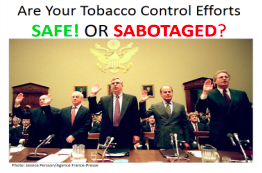 The tobacco industry seeks to dilute, delay and defeat stringent tobacco control restrictions. When governments enact strict legislation, the industry intimidates them with law suits. 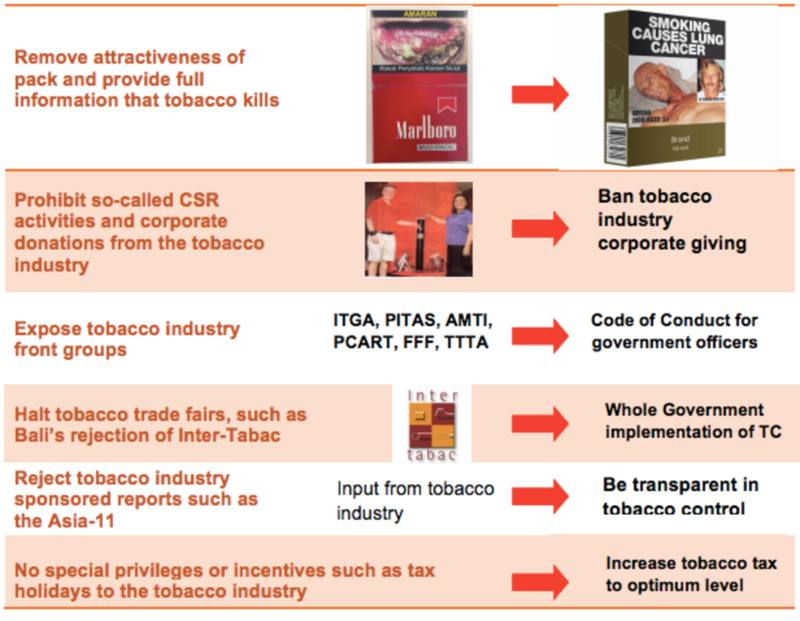 Thailand was sued by tobacco companies to stop the government from increasing pictorial health warning to 85% on packs. 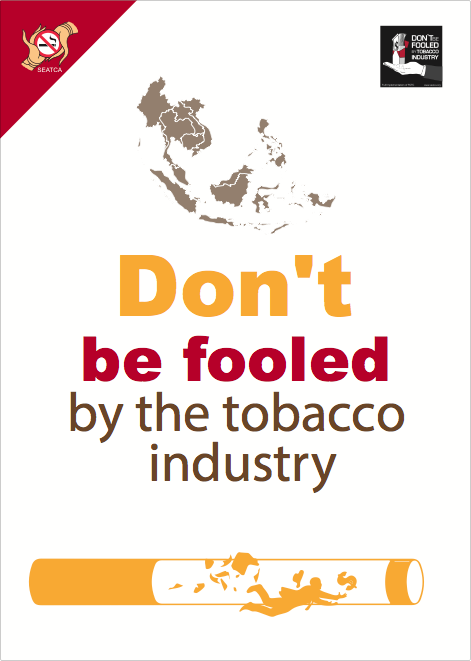 Australia was sued by tobacco companies when it applied plain packaging to stop the companies from using the pack as a promotional tool.